Suzie Marsh studied at Brighton and Exeter Colleges of Art and obtained her degree in Ceramic Sculpture in 1982. For several years she worked as a designer for various Devon-based companies during which time she gained an insight into the techniques of industrial production. In 1986 she established her own workshop and since then she has become well known for her animal sculpture which she sells through galleries in the UK and abroad. Suzie's work reflects her fascination with animal character and form; her inspiration is taken from life whenever possible and through constant observation of her own animals. 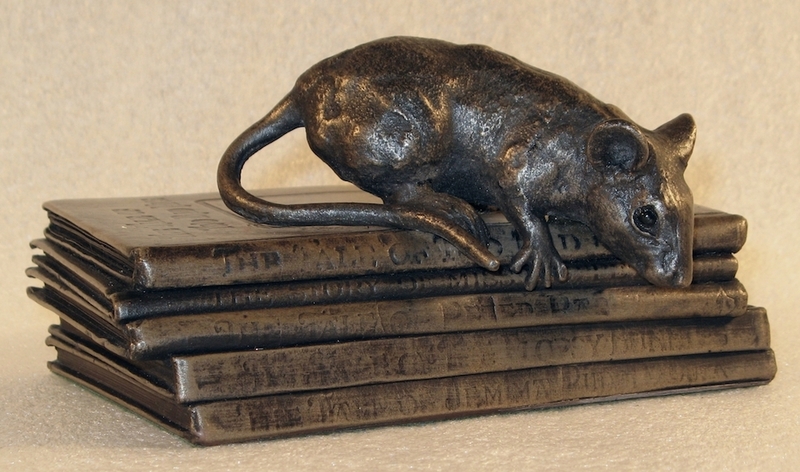 She has become an acknowledged leader in the portrayal of animals and is a member of The Royal British Society of Sculptors - a prestigious recognition. 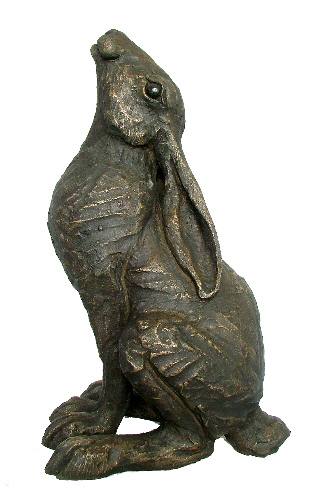 At her West Country studio, Suzie produces a large and ever changing range of animal sculptures which are avidly sought by collectors of her work. She works mostly in clay and then transposes the finished work into bronze resin which is her favourite way of working as it means she is able to capture every detail of her handiwork. Although bronze resin is a relatively modern material, the final piece is finished using the same traditional skills as she applies to her one-off bronze sculptures. Suzie also supports a wide variety of charities. The Zoological Society London invited her to introduce a new range of sculpture to support their work with endangered species; royalties from the sale of each of these sculptures go to the ZSL. She also created four Moon Bear sculptures for Animals Asia and in recognition of the cat's role in her success, Suzie donates a percentage of each of her own sales to the Cats Protection League. She also supports the Turgwe Hippo Trust, adopting many hippos who live at the haven on the Turgwe river in Zimbabwe.